Put aside all of the projects that use an Arduino to blink a few LEDs or drive one servo motor. [IngGaro]’s latest project uses the full range of features available in this versatile microcontroller and has turned an Arduino Mega into a fully-functional home alarm system. The alarm can read RFID cards for activation and control of the device. It communicates with the front panel via an I2C bus, and it can control the opening and closing of windows or blinds. There is also an integrated GSM antenna for communicating any emergencies over the cell network. The device also keeps track of temperature and humidity. The entire system can be controlled via a web interface. The Arduino serves a web page that allows the user full control over the alarm. With all of that, it’s hard to think of any more functionality to get out of this tiny microcontroller, unless you wanted to add a frickin’ laser to REALLY trip up the burglars! [TheJogdredge] has been testing out his new gold washing machines that he made at home. By running dirt laced with rocks through this trommel, gold and precious materials can be filtered out. 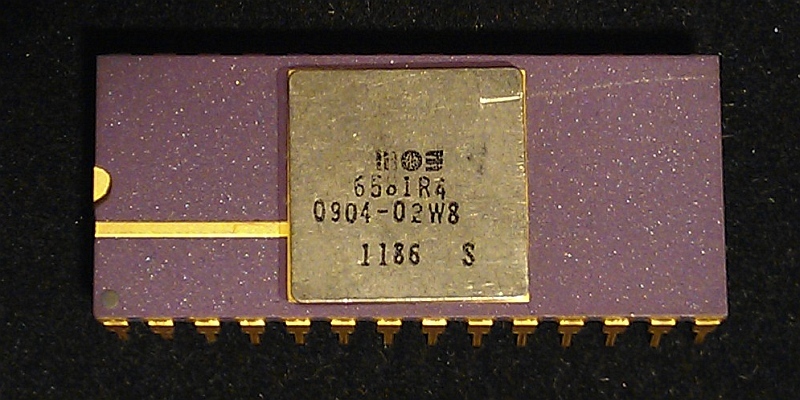 A video of the process can be seen embedded below. The rig — which is meant to be easily lugged around from site to site — is powered by a Honda GX120 motor. No plastic parts were used in the system to help make it more durable. But foregoing the use of plastic means that this guy is heavy. The rig weighs about 240 pounds dry, and 265 when soaking wet with a sluice box attached. The rubber tires allow for the machine to be maneuvered from place to place without much hassle. Although the parts are described on the website, no how-to instructions for this specific device can be found online. This is probably due to the fact that [TheJogdredge] is trying to sell his products and make some money. Releasing the instructions on how to build your own would most likely cut into the potential profits of his design. Regardless of which, this is portable gold mining trommel and perfect for those looking to step up their gold mining and prospecting game. The real question on our minds is: can you get more gold for less effort this way, or through electronic junk mining? Bikes are great for cruising through congested cities but there is a serious downside to pedaling your two-wheeler around… bike theft. It’s a big deal, for example, yearly estimates for stolen bikes in NYC are in the 60,000 – 100,000 range. Only an extremely small percentage of those are ever recovered. [stbennett] just got himself a halfway decent bike and is not too interested in having it stolen, and if it is stolen, he wants a way to find it so he built himself a GPS tracker for his bike. The entire project is Arduino-based. It uses a GSM Shield and a GPS module along with a few other small odds and ends. A 2-cell LiPo battery provides the required power for all of the components. It’s pretty neat how this device maintains an extremely long battery life. The metal cable of the bike lock is used as a conductor in the circuit. When the cable is inserted and locked into the lock housing a circuit is completed that prevents electricity from passing through a transistor to the Arduino. In other words, the Arduino is off unless the bike cable is cut or disengaged. That way it is not running 24/7 and draining the battery. The entire system works like this, once the bike lock cable is cut, the Arduino wakes up and gives a 15 second delay before doing anything, allowing the legitimate user to reconnect the bike lock and shut down the alarm system. If the bike lock is not re-engaged, the unit starts looking for a GPS signal. At that time it will send out SMS messages with the GPS location coordinates. Punching those numbers into Google Maps will show you exactly where the bike is. Of course your other option is to park your bike where nobody else can access it, like at the top of a lamp pole. Even with visions of quadcopters buzzing around metropolitan areas delivering everything from pizzas to toilet paper fresh in the minds of tech blogospherites, There’s been a comparatively small amount of research into how to support squadrons of quadcopters and other unmanned aerial vehicles. The most likely cause of this is the FAA’s reactionary position towards UAVs. Good thing [Giovanni] is performing all his research for autonomous recharging and docking for multirotors in Australia, then. The biggest obstacle of autonomous charging of a quadcopter is landing a quad exactly where the charging station is; run of the mill GPS units only have a resolution of about half a meter, and using a GPS solution would require putting GPS on the charging station as well. The solution comes from powerful ARM single board computers – in this case, an Odroid u3 – along with a USB webcam, OpenCV and a Pixhawk autopilot. Right now [Giovanni] is still working out the kinks on his software system, but he has all the parts and the right tools to get this project up in the air, down, and back up again. Computer animation is a task both delicate and tedious, requiring the manipulation of a computer model into a series of poses over time saved as keyframes, further refined by adjusting how the computer interpolates between each frame. You need a rig (a kind of digital skeleton) to accurately control that model, and researcher [Alec Jacobson] and his team have developed a hands-on alternative to pushing pixels around. Control curves (the blue circles) allow for easier character manipulation. The skeletal systems of computer animated characters consists of kinematic chains—joints that sprout from a root node out to the smallest extremity. Manipulating those joints usually requires the addition of easy-to-select control curves, which simplify the way joints rotate down the chain. 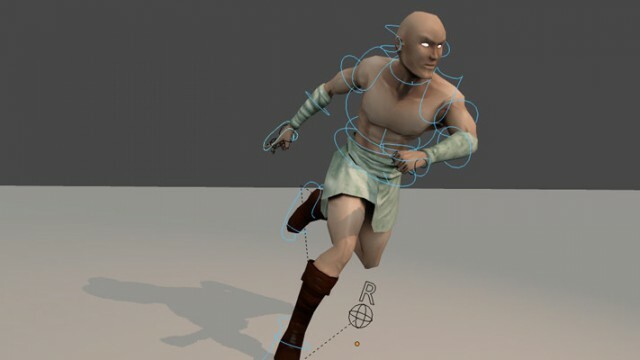 Control curves do some behind-the-curtain math that allows the animator to move a character by grabbing a natural end-node, such as a hand or a foot. Lifting a character’s foot to place it on chair requires manipulating one control curve: grab foot control, move foot. Without these curves, an animator’s work is usually tripled: she has to first rotate the joint where the leg meets the hip, sticking the leg straight out, then rotate the knee back down, then rotate the ankle. A nightmare. [Alec] and his team’s unique alternative is a system of interchangeable, 3D-printed mechanical pieces used to drive an on-screen character. The effect is that of digital puppetry, but with an eye toward precision. Their device consists of a central controller, joints, splitters, extensions, and endcaps. Joints connected to the controller appear in the 3D environment in real-time as they are assembled, and differences between the real-world rig and the model’s proportions can be adjusted in the software or through plastic extension pieces. The plastic joints spin in all 3 directions (X,Y,Z), and record measurements via embedded Hall sensors and permanent magnets. Check out the accompanying article here (PDF) for specifics on the articulation device, then hang around after the break for a demonstration video. The Hackaday community is currently working on an offline password keeper, aka Mooltipass. The concept behind this product is to minimize the number of ways your passwords can be compromised, while generating and storing long and complex random passwords for the different websites you use daily. The Mooltipass is a standalone device connected through USB and is compatible with all major operating systems on PCs, Macs and Smartphones. More details on the encryption and technical details can be found on our github repository readme or by having a look at all the articles we previously published on Hackaday. Our beta testers are now using their prototypes daily and their feedback allowed us to considerably improve the Mooltipass. The firmware development is coming to an end as most functionalities have been implemented in the last few weeks. The development team is therefore turning his attention to the Chrome/Firefox plugins and needs your help to finish them in a timely manner. As you can guess, our goal is to provide a slick and intuitive interface for all of the Mooltipass features. If you have (a lot of) spare time, knowledge of the browsers APIs, feel free to leave a comment below with a valid email address!